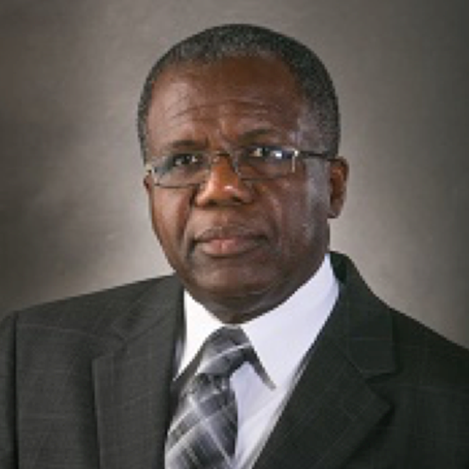 A native of Haiti, Dr. Jowel C. Laguerre began his tenure as Chancellor of the Peralta Community College District on July 1, 2015. Previously, he served as Superintendent/President of Solano Community College, from 2009 to 2015. Dr. Laguerre holds a Ph.D. in Educational Leadership for College and University Administration, a Master’s of Science in Education in School Administration, a Master’s of Arts in French Literature from the University of Kansas, and a Certificate in Mathematics and Physics Education from l’Université d’Etat d’Haiti, Ecole Normale Supérieure, Port-au-Prince, Haiti. In addition to regularly meeting with community leaders, elected officials and members of faith-based organizations, Chancellor Laguerre has championed a number of important initiatives at the Peralta Colleges, including the initiation of a Workforce Development and Career Education unit, the development of key alliances with community-based organizations that serve young people and individuals in need of services to change their lives. He has also provided recognition for faculty and staff who have served the District, initiated a Management Leadership Development Academy to develop current and future leaders for the District, and increased funding for faculty development. At Solano College, Dr. Laguerre was instrumental in creating the UMOJA program, and led the College in a successful Bond campaign that raised $348 million for new facilities and a Veterans’ Center. He is proud to have helped achieve for Solano College a sanction-free Accreditation status through 2017. Additionally, he partnered with Sonoma State University to offer some of the first Bachelor’s degrees at community colleges in California. Previously, Dr. Laguerre was the Vice President for Academic Affairs at Truckee Meadows Community College in Reno, Nevada, and served as Executive Vice President for Academic and Student Services at Montgomery College in Maryland. He has also held a number of academic and student services positions at Lake Superior College in Minnesota. Dr. Laguerre is a member of the WIOA Board of Directors for the City of Oakland, the City of Alameda Economic Development Board, the Oakland Promise Advisory Committee, the Oakland Thrives Committee, the Green Tech Board of Directors and a participant in the Oakland Dialogue, Northern Alameda Adult Education Consortium Board of Directors, the East Bay Career Pathway Trust Board of Directors. Additionally, Dr. Laguerre, a Rotarian for over ten years, is an advisor to the United States Civic Leaders Group, was an honorary Commander at Travis Air Force Base and the 1988 U.S. Department of Education Christa McAuliffe Fellow for the state of Kansas and recognized in 2002 as Educator of the Year by the Montgomery County African-American Chamber of Commerce. Dr. Laguerre is married to Tina and is the proud father of Christian, Violette and Christopher, and grandfather of Hannah Nicole Laguerre.